African American noses are unique because of their skin and soft tissue. Their skin tends to be thick and there is more fatty tissue within the nose. The bridge is lower and the top of the nose (called the dorsum) tends to be flatter. African American noses have less tip projection, and they have nostrils that tend to flare. This means that the nostrils are wider. Often the nostrils stretch while smiling. 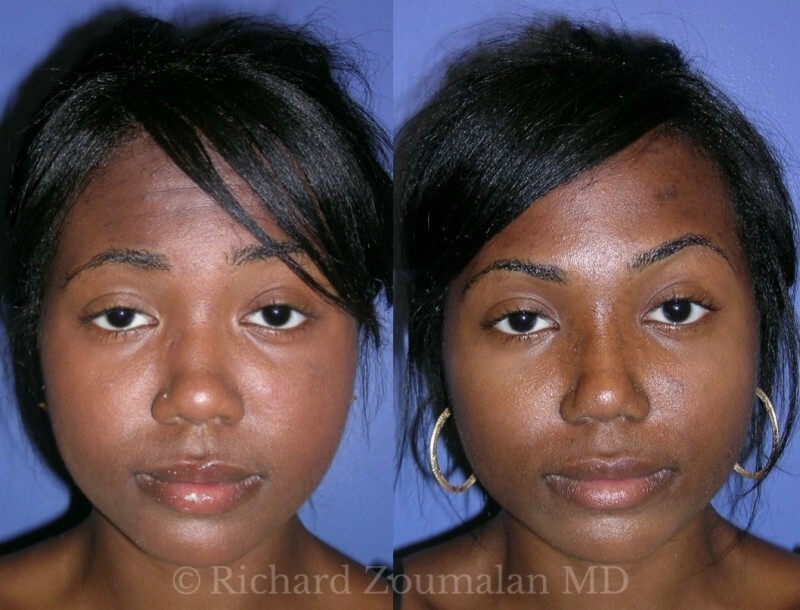 Dr. Zoumalan has worked with many African Americans to improve their nose cosmetically and functionally. He has helped them do this in a way that maintains their ethnicity. For females who seek Rhinoplasty, this means having an elegant dorsum with a more refined tip. Males often look to maintain their masculinity while improving their profile. Many African Americans have breathing problems due to a deviated septum and large turbinates. Performing a Septoplasty and turbinate reduction at the same time significantly improves breathing. This alone can provide a big improvement in quality of life. The cosmetic part comes hand in hand with this. Respecting both form and heritage are essential to Rhinoplasty. Dr. Zoumalan wants to make sure you look your best AND breathe well after surgery. 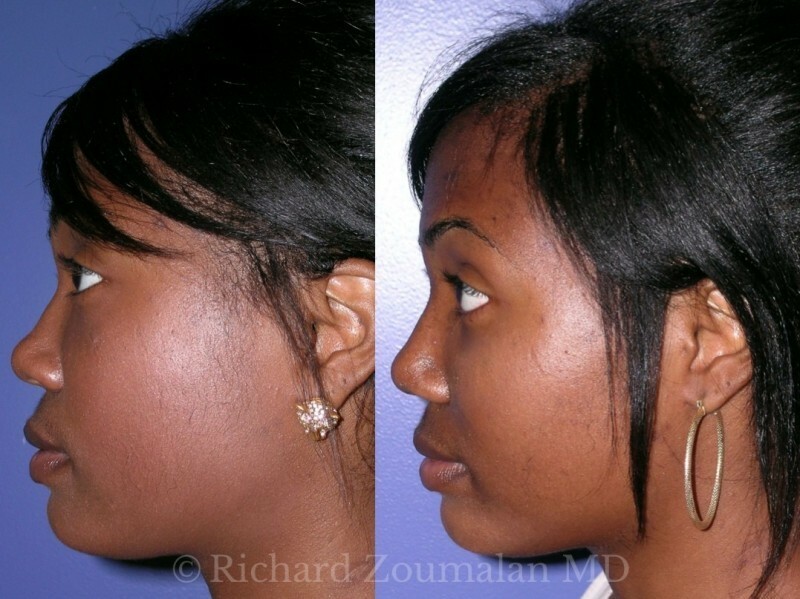 What is unique about African American Rhinoplasty? Does Dr. Zoumalan understand my aesthetic goals? Dr. Zoumalan tailors each procedure to the individual person. During your consultation, he will feel your nose and look inside it in order to understand the full spectrum of issues involved, both cosmetic and functional. He will perform maneuvers to help diagnose different aspects of your anatomy. The virtual imaging portion of your procedure is very helpful in deciding which maneuvers will be best for you. It will also be a chance for you to see what your nose may look like.